For Valencia Series table tops. Durable powder-coated steel base with modesty panel. 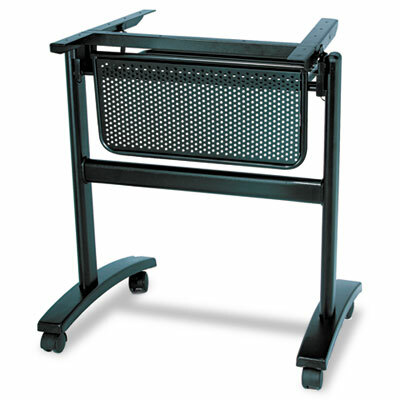 Locking casters provide stability and easy maneuverability. Top and Base sold and shipped separately—ORDER BOTH.